Jey, surf coach and owner of Newquay surf school Cornish Wave, sent over his guide for how to read waves. The Yes/No part really hits the nail on the head for me, though I come at it from a slightly different angle. Am I going to surf this wave? Yes: start paddling for the best area to take off from. No: sit in a safe area or start paddling to get over the wave/prepare to duck dive or turtle roll. To start with this was an active thought process. Over time I’ve found I habitually ask myself for every wave that approaches. It’s a lot to take in, but this guide contains a load of really useful tips. Take a look, try to remember one or two key points and keep coming back to this page. Awesome article, being able to read waves is undoubtedly one of the most difficult skills to master in surfing, but thanks to your wise steps above, it sounds easier. 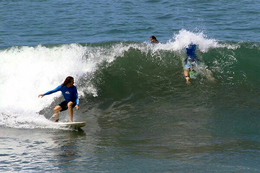 But, honestly, the way you approach waves changes from wave to wave, day to day, and surf break to surf break. However, I feel that only time and experience can get you to know when you should paddle for a wave or skip it. 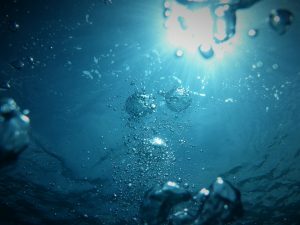 Most useful and easy blog I have read about surfing so far. Over The Dune is about the in-between. The veiled stuff in surfing that nobody talks about. 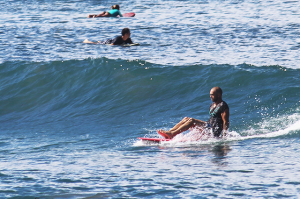 The veterans don't have time for it and beginner surfers pretend they already know. 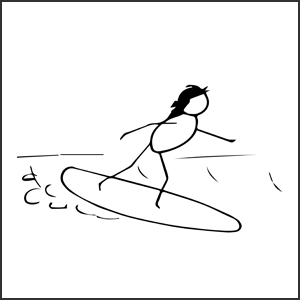 Mind Surfer tips: only dreamed of surfing. Beginner tips: standing up and balancing. Intermediate tips: going across the face, paddling out. New to Over The Dune? Over The Dune is a surfing blog about the in-between. The stuff nobody talks about when you're learning to surf. Find out more on the about page. Hack – “Throwing spray” with a quick and powerful top turn or cutback. 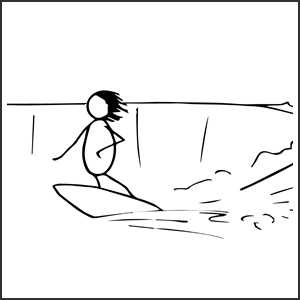 Bottom turn – Turning in the trough of a wave to face along it. A crucial manoeuvre and often the very first thing a surfer does after he’s popped up. Surf tips, surf slang and surf stories straight to your inbox. If "other", what do you mean? Find out what I plan to Click here for more sign up info. One man’s mission to "get" surfing.